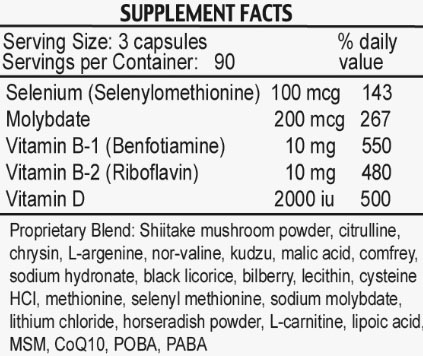 Superior Athletic Performance - 50% More Capsules Than Before! Stemulite NOx Pro and Stemulite Fitness Formula are the world's healthiest and most effective all natural energy building fitness supplements. 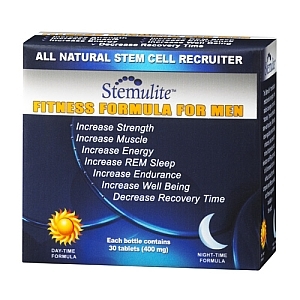 The safe and natural energizing effects of NOx Pro and Stemulite bring about added strength and endurance and can take you to new levels of performance by delivering more oxygen to the muscle cells and encouraging adult stem cell recruitment to aid in recovery and muscle cell growth. Unlike some short-lived supplements that actually deplete your body’s stored energy, NOx Pro and Stemulite together build strength and energy at the cellular level helping literally every muscle in your body perform in a more dynamic way. They are the perfect sports supplements for those who want to feel energized throughout the day but want to avoid the dangers and unwanted side effects of stimulants. The advantages of NOx Pro and Stemulite don’t end there. You’ll also experience more mental clarity and concentration, just what you need to be at your best at work, school or at the gym. Plus, NOx Pro encourages detoxification and helps strengthen your immune system leading to better overall health and a new found sense of well-being. And everyday use helps you reduce the stress of a busy, demanding schedule. If you’re looking to add some reps to your workout routine, run faster lap times or take a longer bike ride, NOx Pro and Stemulite together fits the bill. The extra energy you need will be there when you need it. Used by professional athletes, weekend warriors and anyone wanting to feel and look better, these sports fitness supplements work with your body’s natural rhythms to give you a safe, all natural boost of energy that lasts all day. NOx Pro Nitric Oxide Booster contains no sugar, caffeine or other stimulants such as guarana and ephedra which can leave you jittery and uneasy. You’ll feel NOx’s energizing effects throughout the day without the dips and dives associated with other products, especially when stacked with Stemulite Fitness Formula. No more afternoon crashes spent downing your third cup of coffee to give yourself an artificial boost to finish the day. 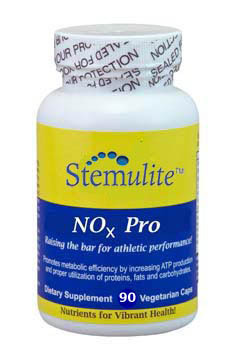 NOx Pro and Stemulite provides a unique source of endless energy and endurance that synergistically combines to maximize oxygen utilization and nutrient transport to the muscles. 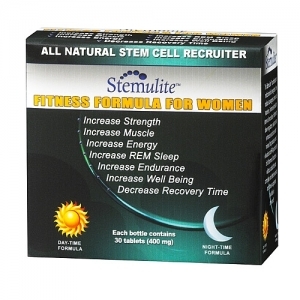 This, coupled with the All Natural Stem Cell production of Stemulite Fitness Formula, makes for a powerful combination that delivers it’s energizing effects consistently throughout the day. These safe and natural dietary supplements literally work 24/7 to keep you at your best, all without the use of common stimulants found in most sports and fitness supplements. Not only will NOx Pro Nitric Oxide Booster and Stemulite help you maintain focus and concentration, they will help you maintain a healthy body and perform at your best, you’ll also experience a more restful and rejuvenating night’s sleep and awaken with the kind of mental alertness you need to take on the day. Stemulite NOx Pro Formula works with your body’s Krebs Cycle allowing it to work more efficiently. NOx turns nutrients into energy in the form of "Adenosine Triphosphate" (ATP), which drives many of the body's metabolic processes. The Kreb Cycle refers to a complex series of chemical reactions in all cells that utilize oxygen as part of their respiration process. Inefficiencies in this cycle can lead to an inhibition of normal energy production and can contribute to a wide range of metabolic disturbances and unwanted symptoms. All natural Stemulite NOx Pro Nitric Oxide Booster is the perfect companion to Stemulite Fitness Formula, together, they are the answer to those who want to reach the absolute peak of health, strength, energy and performance.